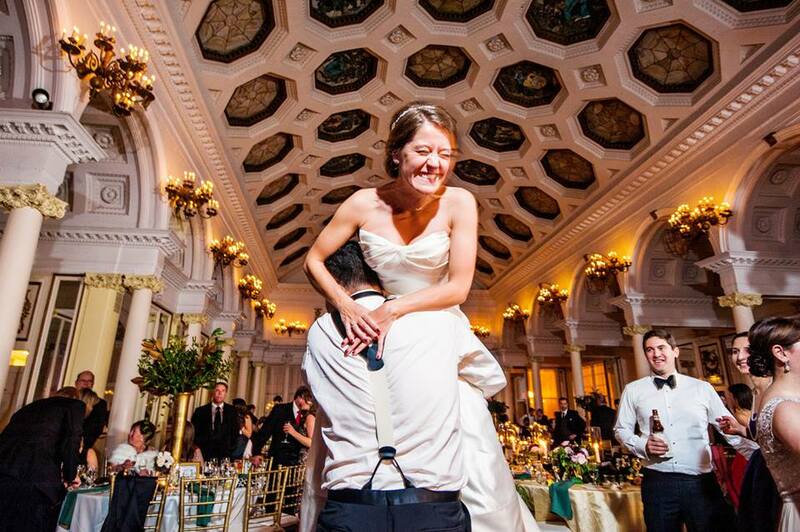 November's Couple of the Month is Kate and Nate, who celebrated their winter wedding ceremony at the National Museum of Dance and their beautiful reception at the Canfield Casino. Cozy golds accompanied homey greens for a warm ambiance that embraced guests. They used branches, berries, and greenery mingled with the elegance of fine china, roses and candles. All the makings of the perfect celebration for any gal who loves the breathtaking beauty of winter woods! The Bisou Weddings and Events team is located in the Capital District of New York. However, Bisou serves the Greater Capital Region, Upstate New York, Hudson Valley, Manhattan, and New England and beyond! Needless to say, we have worked at some incredible venues along the way. Some of our favorites include the National Museum of Dance in Saratoga Springs and the Sagamore in Lake George. The National Museum of Dance is located in a historic building in the Saratoga Spa State Park. The Museum's archives house a growing collection of photographs, videos, costumes, documents, biographies and artifacts that honor all forms of dance throughout history. All of which offer a unique venue experience for any wedding or special event. The classical architecture of this historic building creates an unforgettable ambiance that will be cherished in memories for years to come. 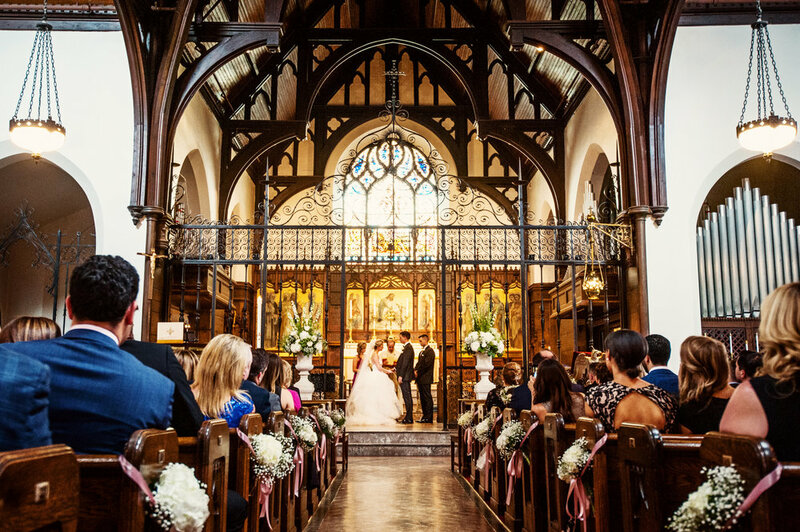 Say your vows as the sun shines through the large, beautiful windows. No wonder it is one of our favorite local venues! The Sagamore in Lake George, New York offers a secluded island setting and the timeless beauty of the Adirondacks as your backdrop. 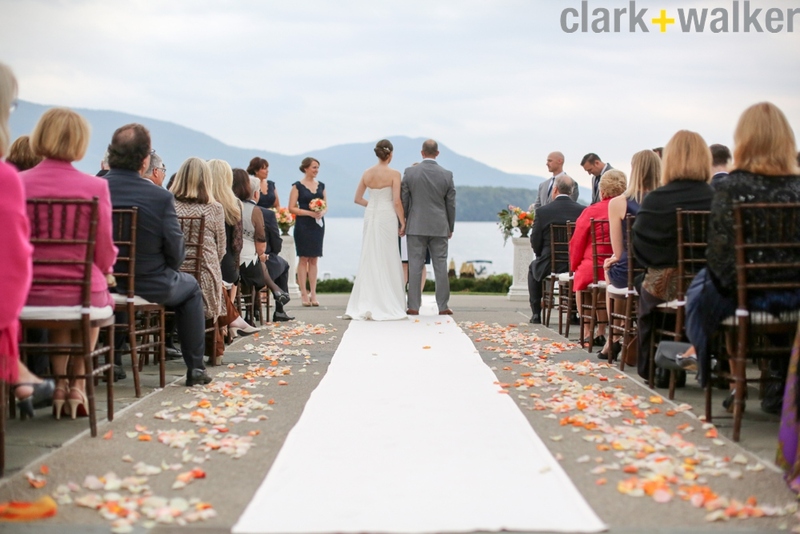 The Sagamore Resort is an enchanting destination for your Lake George wedding. Whether you envision reciting your vows on a sweeping lakefront lawn or sailing across the lake in their replica 19th-century touring vessel, the Sagamore resort offers a variety of customizable wedding packages along with stunning ceremony and reception sites. The view is enough to convince anyone to have their wedding on the water! 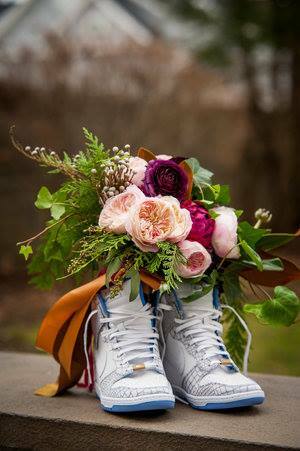 Bisou's couple Andrew and Jennifer are the perfect models at their beautiful Sagamore wedding! This month we say goodbye to Summer and hello to Fall by highlighting Cameron and Brian's picture-perfect wedding at Saratoga National Golf Club in Saratoga Springs, NY. 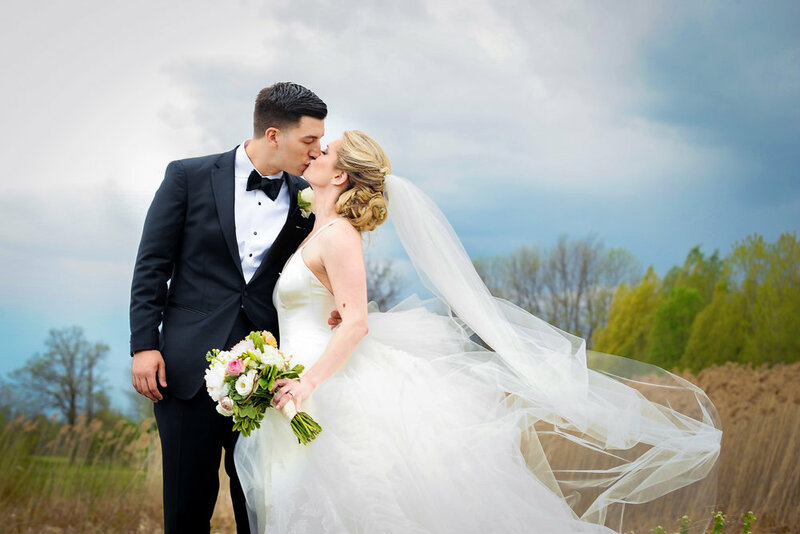 Their wedding was out of a fairytale, and despite the rain, Cameron and Brian along with their family and loved ones had the time of their lives. The stunning fuchsia bridesmaid dresses were perfectly accented by the muted and warm florals. The venue's incredible views and soft overcast lighting made for some picture perfect weather, and we managed to have clear skies long enough to capture some gorgeous outdoor portraits. This wedding was one for the books, and we loved every moment spent with this couple and their incredible families. From the moment we met Aubree and Alex, we fell in love with their whimsy, giggly and super fun personalities. Their fanciful garden party themed wedding was enhanced by many DIY personal additions, as well as their effortless sense of style. One of our all time favorite handmade items was the beautiful arbor Alex built from scratch (amazing!). Thankfully the weather held out long enough for their outdoor ceremony at Yaddo Gardens in Saratoga Springs and Alex's arbor was the perfect addition. 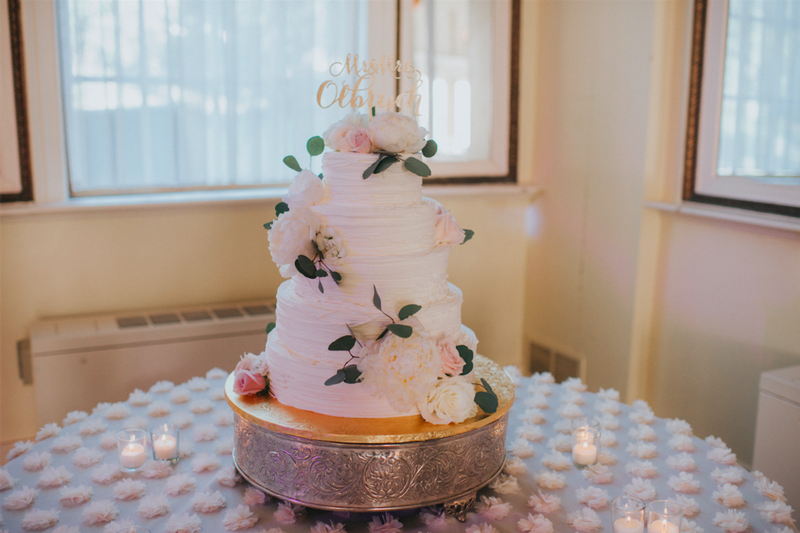 The party continued at The Mansion Inn of Saratoga, and the DIY touches didn't stop there. 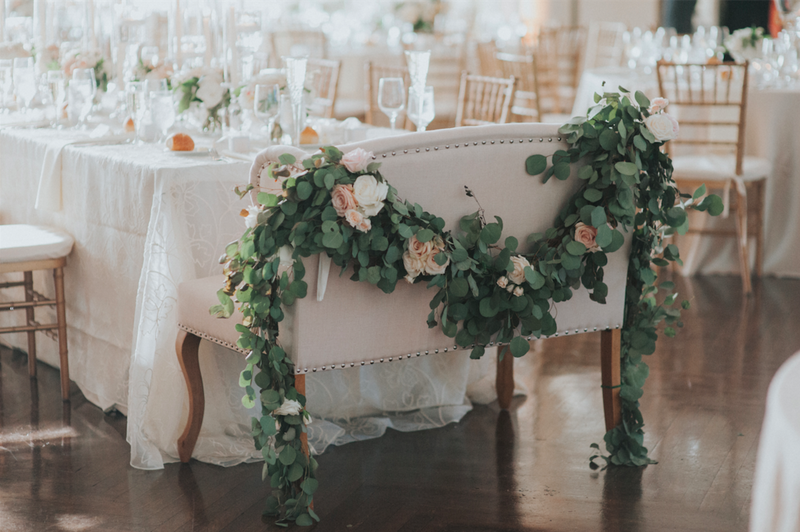 From their window pane seating chart hanging from a tree, to the clusters of bud vases filled with every color flower imaginable, to the banner hanging from a vintage suitcase which carried the guest cards. It was the little details (which were so them) that made their day memorable, so much fun, and oh so magical. Aubree and Alex's wedding day will always hold a special place in our hearts.